s'mores!!! with the warm weather & [s'more season] camping season upon us, i thought this would be the perfect opportunity to make my year round s'more bars. 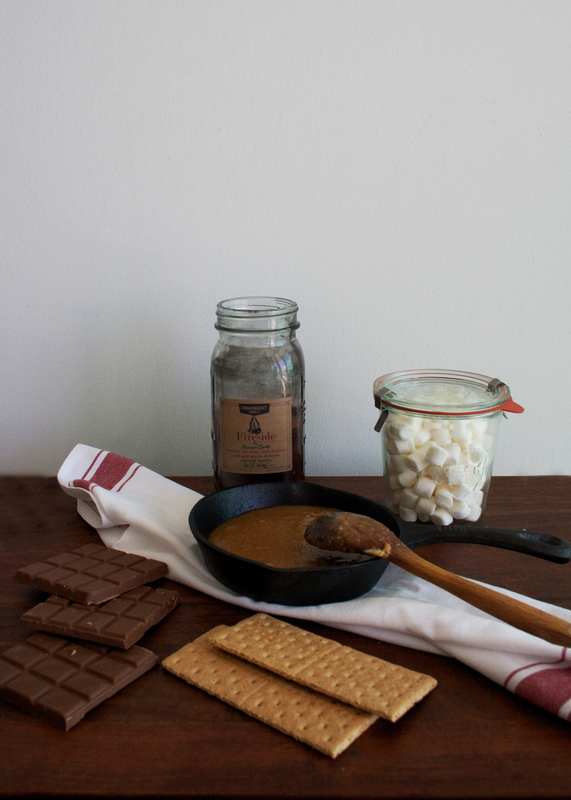 i mean, why should indulging in a s'more be limited to just the summer months? this recipe is inspired by the s'more bar i had the first time i visited anna olsen's bakery in niagara on the lake. as a big fan of her food network series, i told my mom that if for some reason anna olsen was actually there, DO NOT embarrass me. what did she do the second anna olsen walked in? [embarrass me] told her what a big fan i was... yada yada yada. oh moms. anyways, back to the s'more bars. they are layers of milk chocolate chunks, graham crackers and marshmallows, all bound together with a graham cracker puree filling! i could eat this filling on its own, it is so good! these are a perfect grab and go snack and freeze well in a sealed container. in a sauce pot on low heat melt butter, sugar, milk, and vanilla until dissolved. stir in graham cracker crumbs, and set aside. in a nine-inch square pan greased or lined with parchment paper begin to assemble the bars starting with: whole graham crackers, 1/3 filling, 100g milk chocolate, 2/3 cup marshmallows, and repeat. finish with chocolate chunks and marshmallows as the top layer. bake for 15-20 minutes, until marshmallows begin to bubble and brown. remove from oven and let cool completely before slicing. i find refrigerating it before cutting works best!